The fourth Saturday of this month is legendary for college football fans. It is the annual clash between Alabama and Tennessee (two of the Deep South’s most storied football programs). Alabama fans recognize Coach Paul “Bear” Bryant’s iconic status. The “General,” as Robert Neyland is often called, stands out on the big orange side of the grid-iron as a legend in his own right. What made General Neyland memorable was his ability to boil down a complicated and involved game into seven maxims — keys to focus one’s mind before, during, and after the game. The ministry is certainly not a game and I do not pretend to have the status of the Bear or the General. By way of advice, however, I offer seven fluid maxims (in no particular order) I strive to live by in the ministry. Second, purpose to improve your preaching. As you begin to get into a routine of systematically unpacking God’s Word, expect to improve. Preaching is an overwhelming task. Instead of remaining overwhelmed, resolve to work on specific aspects of preaching. Break down the various aspects of preaching: introduction, exegesis, illustrations, outlining, conclusion, momentum, utilizing imaginative language, transitions, and application. Strive to improve on all aspects all the time, but work to systematically address all these items over a five-year period. Perhaps the first year focus primarily on exegesis and outlining. The next year, focus attention on introducing and illustrating the sermon. The third year, improve application and lively, gripping language. Along with this systematic approach, commit yourself to continual reading about preaching. Read seasoned pastors. Christian Focus has published many small and practical volumes on preaching, written by experienced pastors. Remember that preaching is unleashing the mind and character of God. Third, crave mentors. All of us naturally have people God has placed in our lives who dramatically impact us. This should be true in the ministry as well. Sinclair Ferguson, John Piper, and Donald MacLeod are men who have been an integral part of the ministry to which God has called me. I will probably never have the opportunity to sit down with these mentors face to face until we meet after this life. If, like me, you are unable to sit down with your mentors, utilize the Internet to sit under their teaching. Yes, read what your mentors have written, but make it more personal. For example, whenever I read something Sinclair Ferguson has written, in my mind I always preface his words with “Dear Dave…” Is this not how Timothy received Paul’s letters? (1 Tim. 1:2; 2 Tim.1:2). Be challenged by their sermons and lectures. Put aside as many barriers as you can and let these sermons rebuke and encourage your soul. Don’t listen to these men for ideas (only) but to draw you closer to God. Fourth, strive to be a friend to your people. Take time to get to know the flock under your charge. Desire to be with them outside of corporate worship. Many people with whom you interact have never had a genuine friend. They have never had someone willing to invest in them. The disciples were a motley crew chosen by Christ so that He could be with them (Mark 3:14). Fifth, gorge yourself on God’s Word. The Word is where God has promised to transform you from glory to glory (2 Cor. 3:18), thoroughly equip you (2 Tim.3:16–17), and make you wiser than your enemies (Ps. 119:98). When understood, it enables your heart to burn with passion (Luke 24:32). It is where you find certainty regarding Christ (Luke 1:4) and where your freedom can be understood (John 8:32). It is where we find out that God is not ashamed of those who believe (Heb. 11:16). In keeping us He neither faints nor grows weary (Isa. 40:28); He never sleeps nor slumbers (Ps. 121:3-4). Any reason not to gorge yourself on this Word? Sixth, struggle to state matters positively. Oftentimes we are able to talk about the love of God in ways that are endearing. Work to talk about all doctrines in equally endearing ways. Many will desire that you talk about the love of God but not much about sin and repentance. 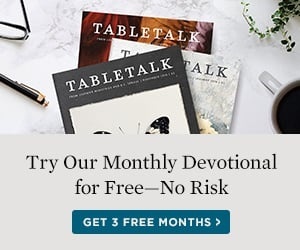 Show your flock that all of God’s doctrines are beautiful and desirable. For example, inform people that repentance is repeatedly tapping into the blessings of being united to Christ. Or, repenting is telling Christ exactly why you need Him. Strive to present the whole counsel of God faithfully, lucidly, and attractively. Seventh, believe in change. It will be very tempting to begin to champion the phrase: “Well that’s just the way things are…they will not change.” Don’t buy into this mentality. Never stop believing in change. If you know that the spiritually dead can be brought to life (from first-hand experience), everything else pales in comparison! Remember, God’s presence changes everything! Soli Deo Gloria.